A note to my readers: I am returning to blogging as usual in part as an effort to show to the world that the rest of Japan is getting on after the recent disaster. Our hearts and prayers are with the people in Tohoku--of course. That said, we cannot be in mourning forever. For the country to recover--mentally and economically--we need to return to normality as soon as we can in the areas unaffected by the earthquake. If there is one thing the Japanese can do best, it's their ability to bounce back after extreme trauma. Despite what you might be seeing in the foreign news media, people in Kansai and throughout Japan are living their lives going to work and enjoying this lovely time of year. Please join me in remembering the suffering of those in Tohoku while celebrating the beauty of this country that I call my home. 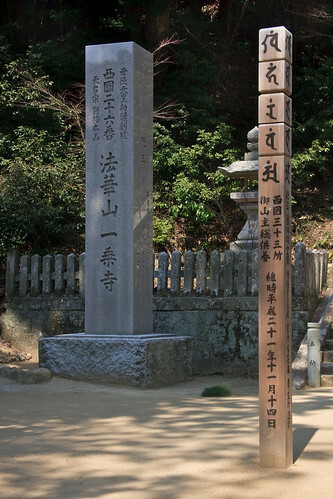 Along the Saikoku 33 Temple route in Kansai there are many temples. Some of them are in, or close to, major population centers and are attractions irregardless of their designation in the Saikoku 33. Others are in out of the way places tucked into tall mountains. Some are in some not so easily accessible places. While every temple offers a sense of beauty and transcendence, I have to say I enjoy the peacefulness of the latter. 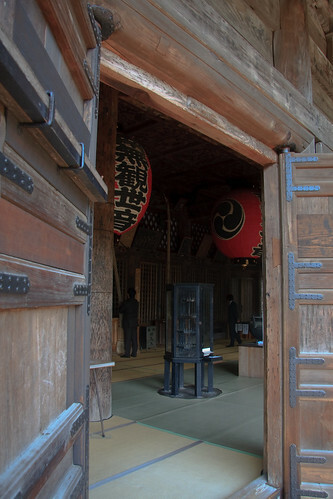 Ichijo-ji in rural Kasai city is a stellar example of one of these temples. Ichijo-ji is located not far from Kakogawa-kita IC on the Sanyo highway up a winding road and just past a newly built pet cemetery. 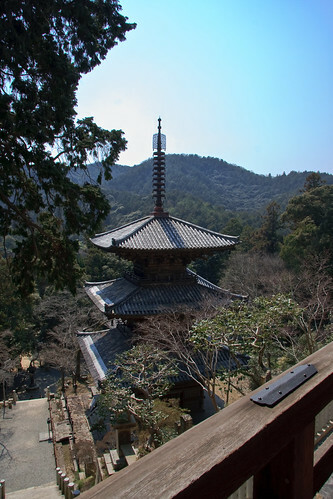 The temple is at the end of a long set of stairs nestled into the surrounding mountains. It is said to have been founded in 650 B.C.E. 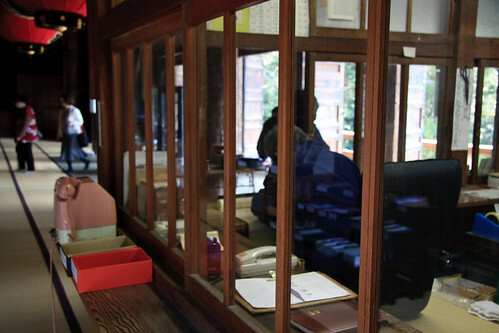 The oldest remaining building is a 5-story pagoda built in 1171. The pagoda is registered as a national treasure. After climbing up the stairs, with my smiling 10 month old daughter strapped to my chest I might add, Yuko and I removed our shoes and entered the main temple. The cool wood boards, made smooth by the hundreds of feet that have walked upon them, felt great on our feet. Inside the cool mountain air circulated through the building and spreading the incense around the building. The calm and quiet was omnipresent. This truly is a spiritual place. With all the sadness and suffering in Japan and the world around us at this time, taking time out to offer a silent prayer is the least we can do. Thank You for such a lovely post today. Reading your description it felt that I was there with you at the Temple. Great post and a beautiful temple. Glad to see you returning to blogging and if I know anything about Japan, it is they will bounce back bigger and better than ever. Prayers and wishes with everyone in Japan and especially those in the Tohoku area affected by the recent disaster.